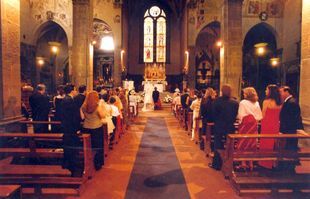 Religious Weddings can be Catholic or Protestant.Your Catholic wedding in Florence can take place at the beautiful Santa Trìnita Church. 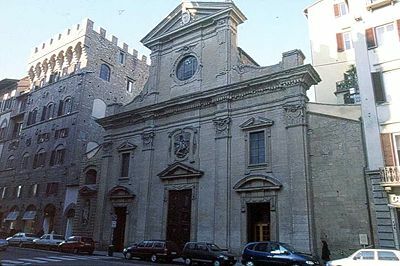 The church was built in the second half of the XI century by the Vallombrosian monks. The interior of the church is 14th century Gothic, and is laid out in an Egyptian cross. 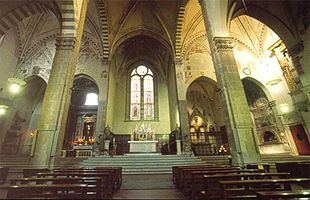 It is divided into three aisles separated by pilasters that rise up to gothic archways and a cross-vaulted ceiling. There are no stairs, and it is completely accessible.